March 27, 2011 – Great movie, terrible photo. | What I got rid of today. ← March 26, 2011 – Two frames. March 27, 2011 – Great movie, terrible photo. Oops…sorry I had my camera set incorrectly on this one. 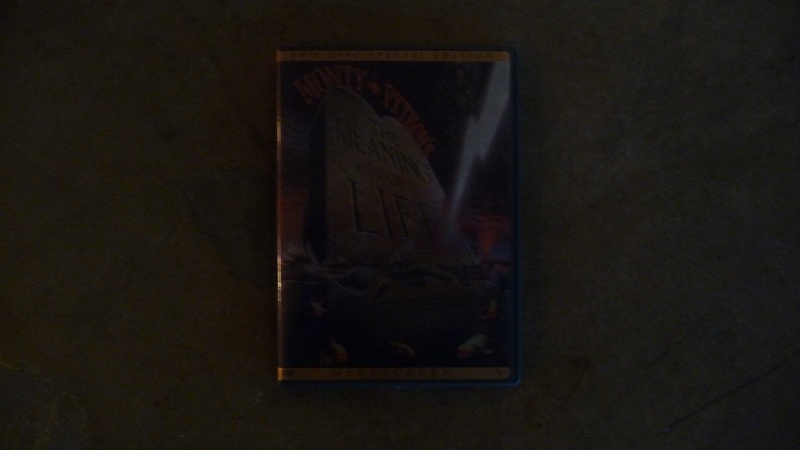 But trust me…it’s a DVD copy of Monty Python’s Meaning of Life — a movie that I DO watch again occasionally. But, since it’s available via streaming…off the physical DVD goes. Which makes me wonder…as so much of our entertainment is getting smaller (digital vs. physical, ipods vs. turntables, etc.) — why exactly are our homes getting so much larger?